Posted By Edward, 22nd Mar 2018. 3 Minute Read. ● So Why Are Neutral Colour Bathrooms So Popular? ● How To Achieve The Neutral Colour Bathroom Look? A savvy choice when deciding upon the colour of your new bathroom is to go for neutral colours. This hugely popular look has dominated interior design in recent times and shows no signs of falling out of favor. If you are looking for a colour scheme that will be just as popular with everyone in your family then a neutral setting is quite simply the best choice. 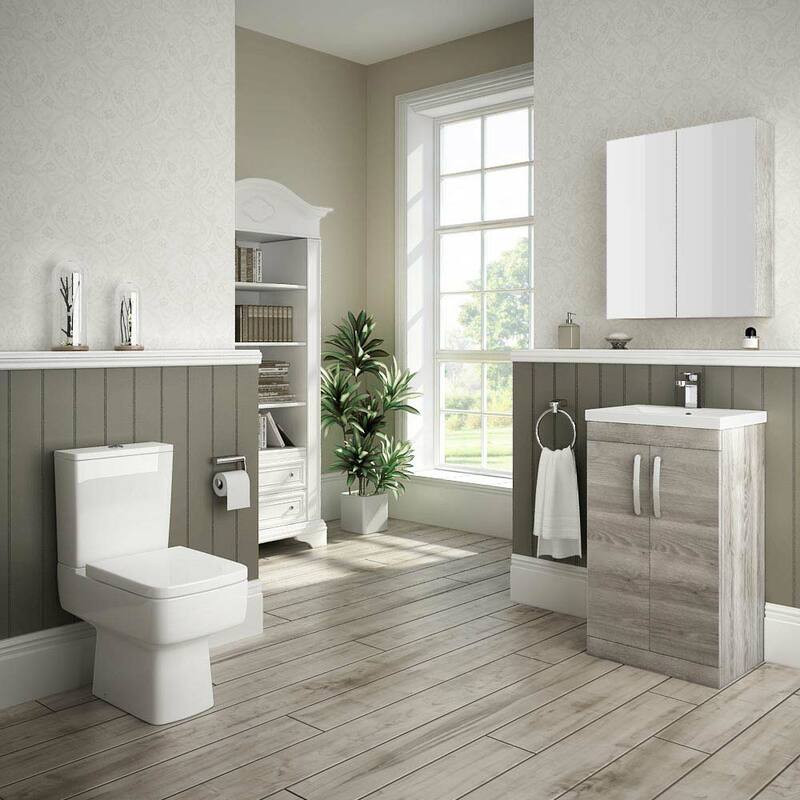 What we really love about the neutral bathroom look is that it's so easy to achieve and will work beautifully with whichever fixtures and fittings you have ear marked as 'must have' for your new room. 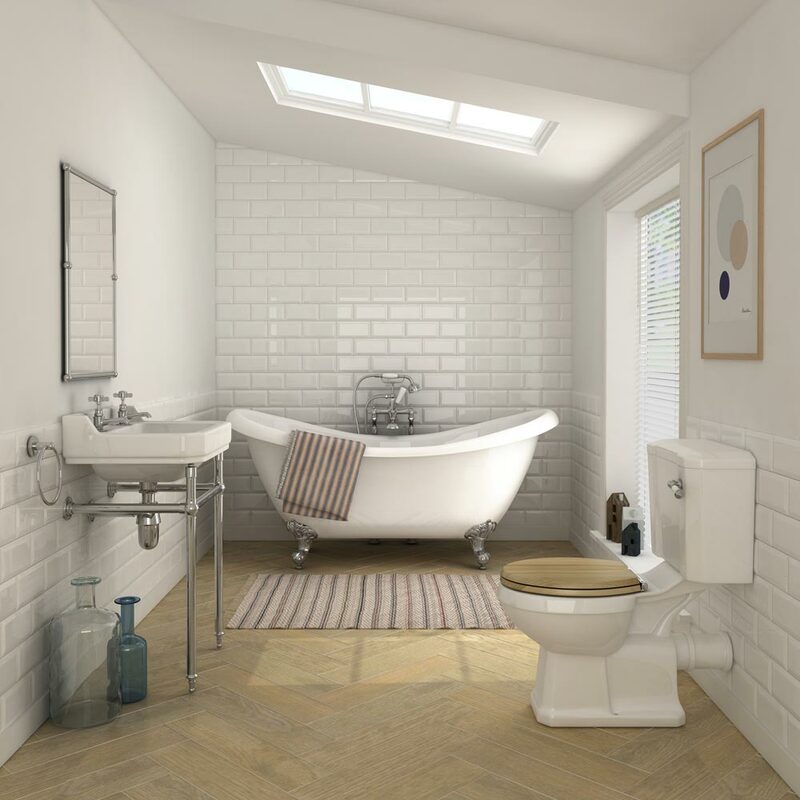 In this Victorian Plumbing guide we will explain why this style of bathroom is so popular and then dish out plenty of neutral coloured bathroom ideas. So Why Are Neutral Colour Bathrooms So Popular? 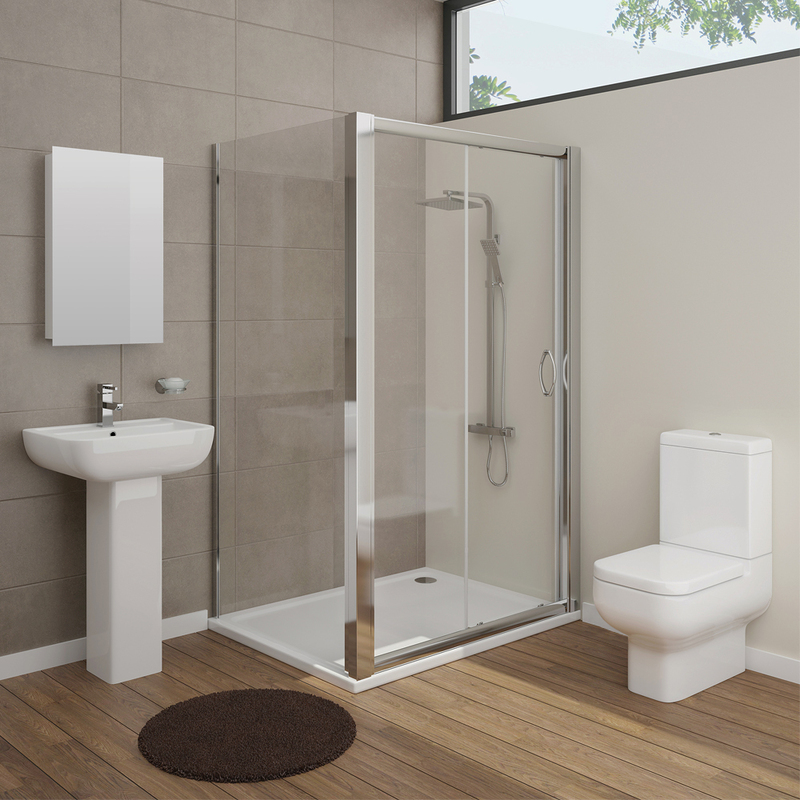 The popularity of neutral coloured bathrooms stems from their universal appeal. Everyone likes (or at the very least doesn't dislike) neutral coloured interiors and that makes them a great choice if you are sharing your bathroom with other house members. Neutral is also a colour that's perfect if you are renovating a bathroom in preparation for selling or renting your house because potential buyers and renters will appreciate the neutral canvas. This colour is also future proof; meaning your bathroom will as 'on trend' in five years time as it will look the first day it has been installed. Rest assured that if your opt for a neutral coloured bathroom you have made the most of the investment in your new bathroom. If you're planning a small under stairs, cloakroom or en-suite bathroom then applying a neutral colour scheme is a great way to make the most of your available space. Bright and light colours open up the space in a small bathroom which helps to make the room appear bigger than it actually is. 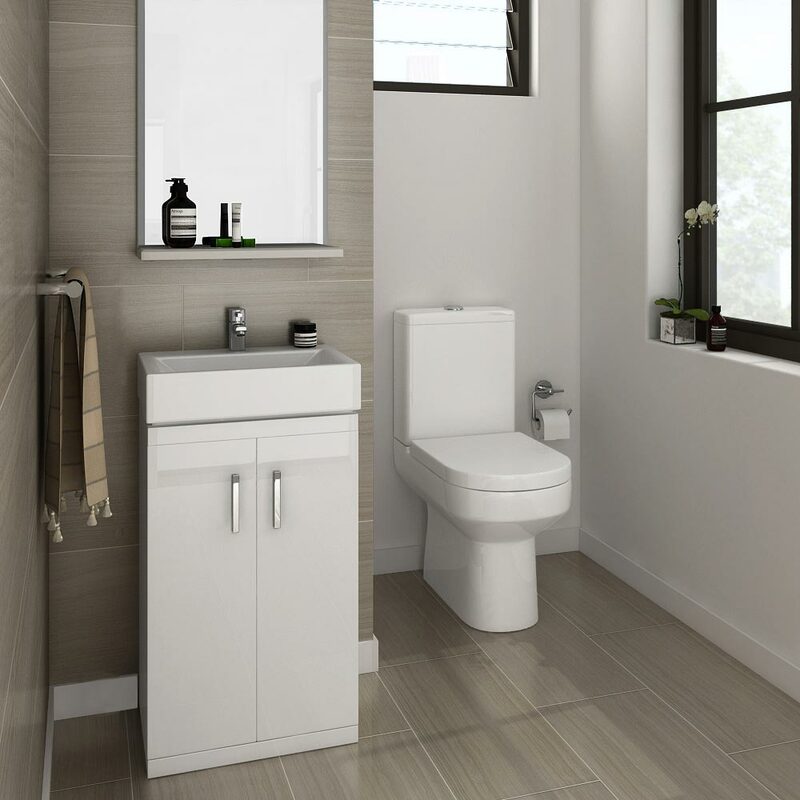 A neutral setting lends itself equally well to both contemporary and traditional bathroom styles. Whether you're planning a rustic bathroom with a beautiful freestanding bath or have your eye on an ultra-modern minimalist design then neutral hues are the perfect base for your design. How To Achieve The Neutral Colour Bathroom Look? The popular colours that make up a neutral palette include beige, brown, white and light grey. Natural materials are also ideal for this style; wood and natural stone work particularly well. Another, relatively new, colour option that's perfect for this style is driftwood. This repurposed style of wood-effect finish is absolutely perfect for a neutral coloured bathroom. A driftwood version of our hugely popular Brooklyn range of bathroom furniture was released this year. 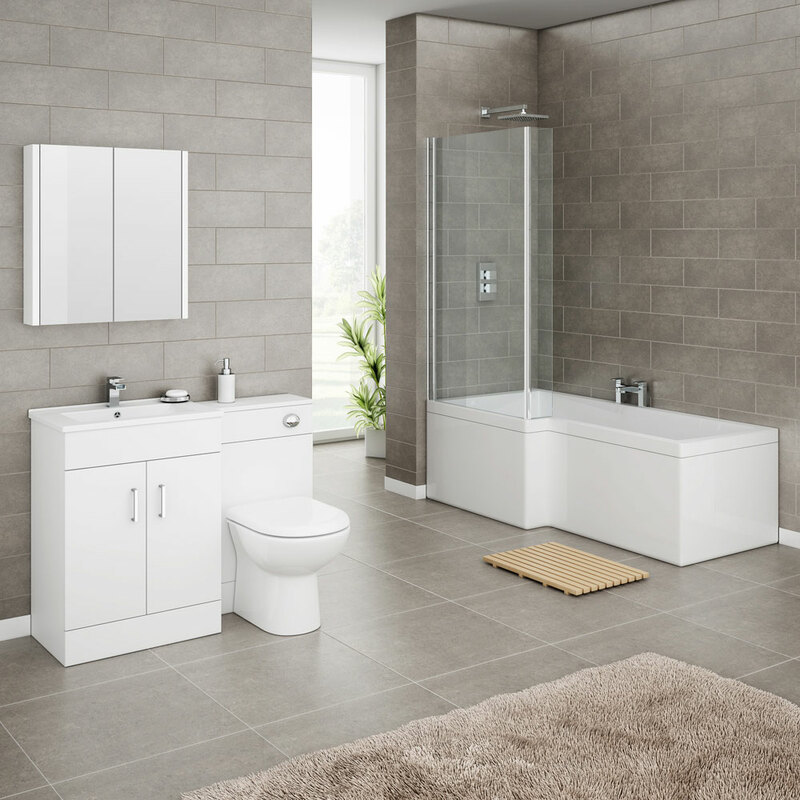 White or light grey bathroom furniture is another superb way to style your neutral space. 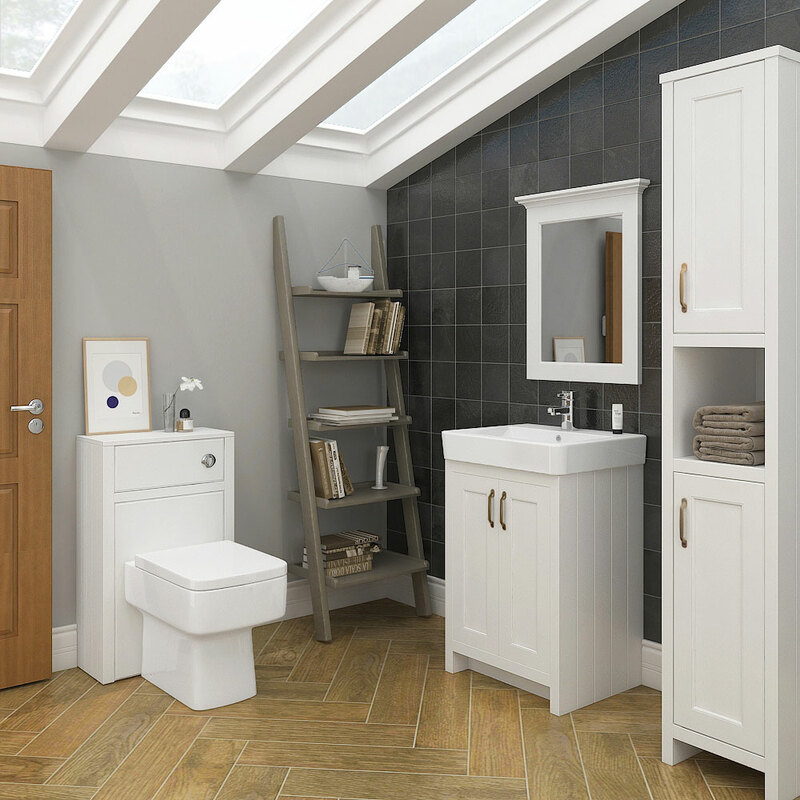 A collection I would recommend from our very own range of bathroom furniture would be Chatsworth. 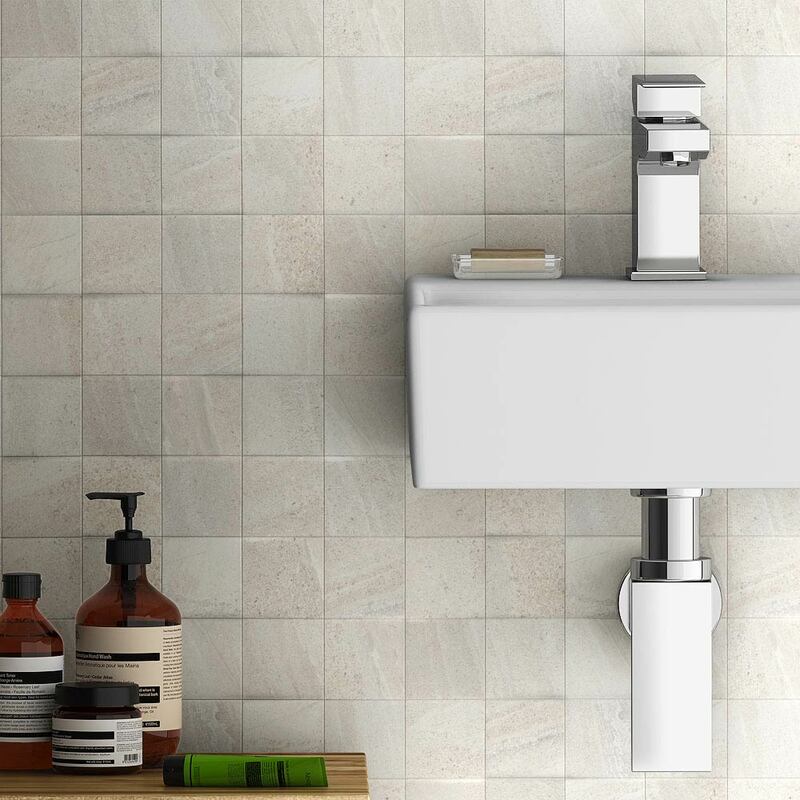 Available in both light grey and pale white, the Chatsworth collection of bathroom furniture is available with either a ceramic or marble countertop. Your bathroom walls and floor are really important when looking to achieve the neutral coloured bathroom look. A nice idea for your floor is wood effect ceramic tiles. Two neutral wood effect options that are definitely worth a look at are the Monza beige tile and the Oslo light wood effect tile. 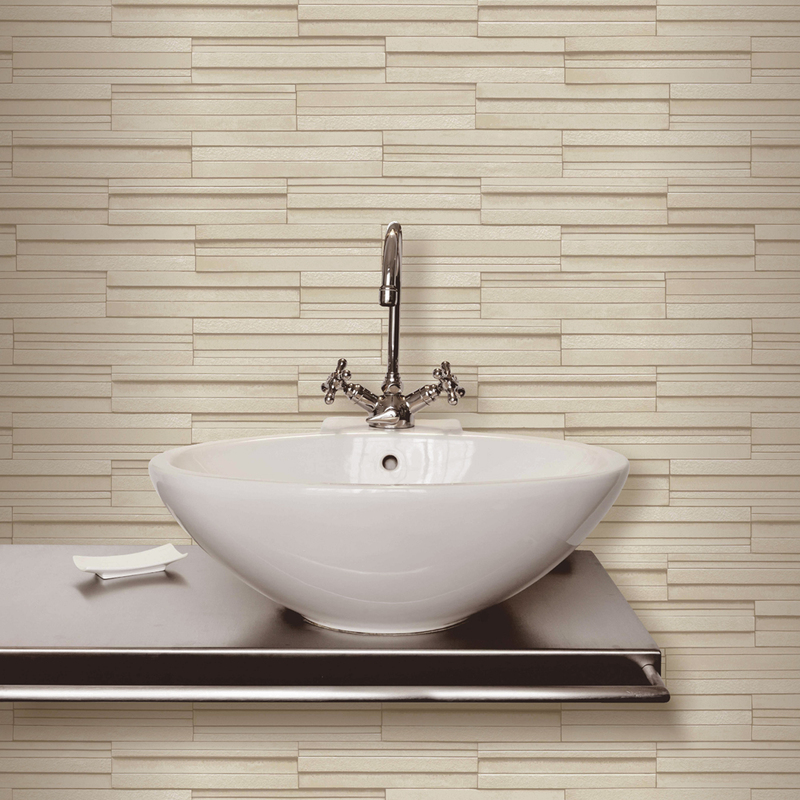 If you have plans to tile your bathroom walls then why not consider using 'subway style' metro tiles. Three gorgeous colours from our Victoria metro tile range are cream, light grey and almond. Another idea is to decorate your walls with bathroom wallpaper. I am a big fan of the Ceramica range of slate tile effect bathroom wallpaper. Colour options for this range include beige, cream and light and dark grey. Polished chrome is the perfect material to go with a neutral coloured bathroom and that's ideal because chrome is the most popular finish for fittings such as taps, door handles and heated towel rails. One range that could take your neutral design to the next level is the chrome version from our Metro radiator range that's available in both the horizontal and vertical styles. Glass shelving works particularly well with neutral hues. Glass shelves in general are really good at allowing natural light to flow around a bathroom and this is especially important is you're designing a small bathroom. Why not consider placing two or more shelves on top of each other to create a feature in your bathroom? Another finishing touch could be to add colour. As mentioned earlier, neutral coloured interiors provide a universal canvas that could potentially be styled up by adding colourful bathroom accessories or artwork. A well appointed print coupled with colour matching towels and bathroom set could be the masterstroke that adds the 'wow' to your new bathroom! Have you enjoyed reading our ideas on designing a beautiful neutral bathroom? If you would like more examples of products we recommend then please feel free to comment below and we will, of course, reply to you as quickly as we can. 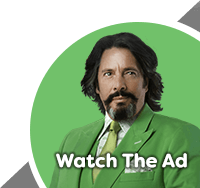 Thank you for reading and good luck planning your neutral colour bathroom.